Amy Cervini, Hilary Gardner, and Melissa Stylianou have a lot of common. They all hail from the northern climes (Ms. C. and Ms. S. from Toronto, Canada, while Ms. G. grew up in Wasilia, Alaska), they all moved to New York City (specifically, the borough of Brooklyn), they have lovely voices, and all record for Anzic Records (in fact, all 3 released excellent CDs in 2014). Somewhere along the line, someone or ones had the brilliant idea the 3 should blend their voices and Duchess was born. Amy's husband Oded Lev-Ari, who has produced CDs for his wife and Melissa, brought them into the studio, added the talents of Matt Wilson (drums), Paul Sikivie (bass), Michael Cabe (piano), Jeff Lederer (tenor saxophone on 5 tracks) and Jesse Lewis (guitar in 4 tracks), and the result is 13 songs that will make you smile and/or tap your feet. The program opens with 2 songs associated with Peggy Lee. In fact, Ms. Lee wrote the lyrics to "Love Being Here With You", a crowd-pleaser built off the swinging beat and the friendly banter of the vocalists. That's followed by Fred Fisher's "There Ain't No Sweet Man Worth The Salt of My Tears" (originally recorded in 1928 by Annette Henshaw with the Willard Robison Deep River Orchestra and then the following year by Bix Beiderbecke with Bing Crosby on the vocal, no less) - Ms. Lee's version was recorded in 1963 and has a blues-rock feel.) Duchess lean more towards a looser reading of the original. You'll enjoy the sweet love song penned by Ira and George Gershwin; titled "Blah, Blah, Blah" (no, not the Iggy Pop or Ke$ha songs), the lyrics show that sometimes it's easier to show love than to say "I love you." There are sweet ballads in the form of "Que Sera Sera" and "I'll Be Seeing You" plus an emotional take on "P.S. I Love You", the Johnny Mercer-Gordon Jenkins composition from 1934 with features close harmonies and a fine guitar solo from Lewis (an integral part of Ms. Cervini's Jazz Country group). A raucous tenor solo enlivens the playful "It's A Man", a Cy Coben composition recorded by his orchestra supporting the vocal of actress/singer Betty Hutton. The singer each take the spotlight for one track. Ms. Gardner swings her way through "My Brooklyn Love Song", a tune composed by George Tibbles and Ramey Idriss. Ms. Cervini reprises "A Doodlin' Song" from her 2012 tribute to Blossom Dearie "Digging Me, Digging You", replacing the male voices with her sisters and Josh Sinton's baritone sax solo with a playful tenor sax hit from Mr. Lederer (otherwise, the arrangement is the same.) Ms. Styling revisits "Hummin' to Myself" from 2014's "No Regrets" release and also does not change the earlier (right down to the bass solo) but spices it up with the addition of her friends' lovely harmonies. 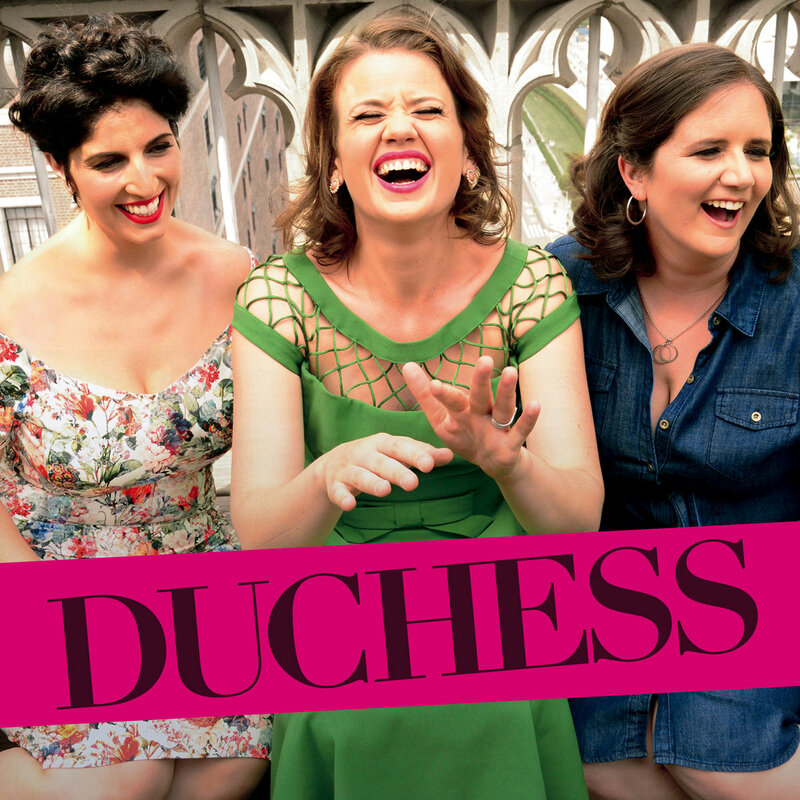 Sassy, sweet, fun, playful, melodic, carefree and happy, all those positive adjectives (and more) should tell you that the trio known as Duchess have made a debut recording that should bring a smile to your face. Is it a bit "retro"? Yes, but it's never "snarky", never patronizing. 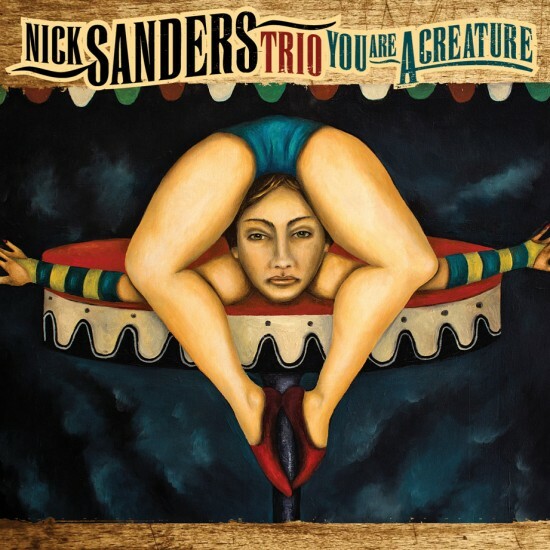 Amy Cervini, Hilary Gardner and Melissa Stylianou plus their merry band sound like they are having a swell time - you will as well. For more information, go to www.duchesstrio.com. 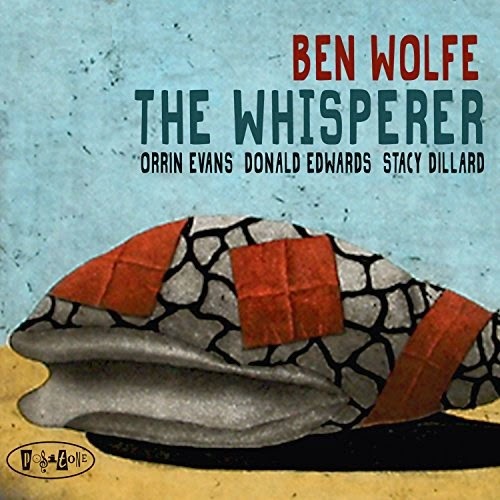 For his 2013 MaxJazz CD, "From Here I See", bassist and composer Ben Wolfe worked with a core quartet of Orrin Evans (piano), Donald Edwards (drums) and JD Allen (saxophone) plus guest artists and a string quartet. Messrs. Evans and Edwards return on his new release, "The Whisperer" (Posi-Tone Records) while Stacy Dillard (soprano and tenor saxophones) replaces Allen. Trumpeter Josh Evans (no relation to the pianist) is the only guest and appears on 1 track. The unique painting on the cover is the work of Colorado-based Ron Fundingsland and is titled "Sanctuary." Wolfe, who has worked with a slew of well-known artists ranging from Diana Krall to Wynton Marsalis to James Moody to Harry Connick Jr., clearly loves melody and writes pieces that have solid tunes yet leave space for solos. Only 2 of the 12 tracks are over 6 minutes and 5 are under 5 minutes. The program opens with "Heroist", an up-tempo romp that starts with a McCoy Tyner-groove before galloping into the piano. Dillard flies over the opening groove on his soprano with Edwards urging him on. The soprano takes the lead on "Hat In Hand", the first of several heartfelt ballads that are musically and emotionally satisfying. "Love Is Near" is another, this time with Dillard on tenor saxophone, his breathy tone reminiscent of Ben Webster and Coleman Hawkins. Listen to how Wolfe makes each note count and Edwards barely brushing the snare and his cymbals as well as Evans's soft touch on the piano. Dillard returns to soprano for Jerome Kern's "All The Things You Are", the only piece not composed by the bassist. The piano lines are so well-placed, with a blend of straight-forward phrases and "impressionistic" chords. Josh Evans takes the place of Orrin Evans on the bopping "S.T.F.U", his exuberant playing pushing Dillard to a frisky soprano solo. Ben Wolfe doesn't feel the need to solo on every track but he sets the table for bandmates to pay their best. His mature compositions give "The Whisperer" a timeless quality; this is music that builds upon the sounds that Herbie Hancock, McCoy Tyner, Andrew Hill, Charles Mingus and Wayne Shorter discovered in the 1960s. Mr. Wolfe and his cadre of excellent musicians do not copy any of those mentioned above, making his pieces sound fresh and alive. For more information, go to www.posi-tone.com/whisperer/whisperer.html. The news has been making the rounds the past 24-36 hours that Clark Terry has entered hospice care. Having just viewed "Keep On Keepin' On" and now in the midst of his autobiography (check it out here), one is amazed but not surprised at Mr. Terry's resilience through his many trials and tribulations. Say a prayer for him, for his wonderful wife Gwen and his family. Then, go to patrickwilliamsmusic.com/leaves-evergreen-clark-terry/ and over a listen to this music from composer Patrick Williams that features a short but sweet solo from CT.
For his 8th recording as a leader, alto saxophonist and composer Rudresh Mahanthappa look back and forward at the same time. "Bird Calls" (ACT Music) takes its musical cues from Charlie Parker (his daring playing, his willingness to experiment and his often dazzling technique) and adds the myriad influences the leader has encountered in the years since he first started playing. 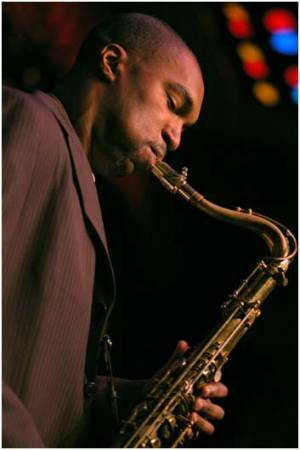 The group Mahanthappa has assembled for this project plays with grace and fire; bassist François Moutin and drummer Rudy Royston are long-time acquaintances and musical cohorts while the saxophonist started playing with pianist Matt Mitchell 4 years ago (first as a member of guitarist Rez Abbasi's band, then with Mahanthappa and Bunky Green in the "Apex" band). The secret weapon in this ensemble is the 20-year old trumpeter Adam O'Farrill (son of pianist/bandleader Arturo O'Farrill) - his cool, confident, musicianship is a fine counterpoint to the fiery work of Mahanthappa. The music does not ignore the leader's Asian-Indian heritage - in fact, the opening track of the CD, "Bird Calls #1", serves as an overture and one can clearly hear echoes of the shehnai, the double-reed instrument in the music of India, Pakistan, Bangladesh and Iran. 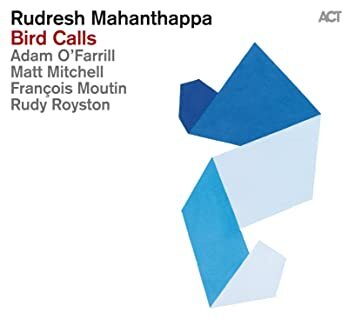 Mahanthappa's visceral solos, with his full yet sharp tone, often have a percussive feel (not unlike solos by his contemporary, Miguel Zenón) as if influenced by a tabla player's attack. Still, on a ballad like "Sure Why Not", with its strong hint of the blues in the melody, he displays an emotional richness and sweeter tones. The interaction of the trumpet and piano, echoing the saxophone lines in "Gopuram", is a pleasing touch while the intense rhythm section work during the solos serves as kindling for the improvisers. The "funky bop" of "Maybe Later", which builds off of Royston's rousing drum work and utilizes Moutin's forceful bass lines as its foundation, is exhilarating. "Bird Calls" starts out by making the listener sit up and listen with its powerful groove; even the final track, "Man, Thanks for Coming", puts one on the edge of his chair for 1:38. Do not play this CD to relax but to set your mind on fire. Rudresh Mahanthappa, who is known for his great musicianship and for getting the most out of his compositions and cohorts, has created what, arguably, may be his finest ensemble and music. Catch them in person if you can - this music will rock your soul. For more information, go to rudreshm.com. Give a listen to "Chillin'" and dig the fire! Also, Rudresh Mahanthappa is the first guest on the newly-invigorated "The Jazz Session" - it's great to have Jason Crane back and you can hear the podcast by clicking on the link at the top right of this blog. Trombonist Marshall Gilkes, best known for his work with the Maria Schneider Orchestra and the Edmar Castaneda, has just issued his 4th CD as a leader and first with a large ensemble. "Köln" (Alternate Side Records) is the culmination of his 4 years as a member of the WDR Big Band (Westdeutscher Rudfunk). Based in Cologne, Germany, the 18-piece group works and records with many visiting artists as well as working with young people. Their discography includes collaborations with guitarist Hiram Bullock, vocalist Fay Classen, Maceo Parker, the New York Voices and many others. The studio recording took place in January 2014. Gilkes's contract had expired the previous month but he had been invited back for a concert featuring his original works and an arrangement of Harold Arlen/Johnny Mercer's "My Shining Hour." Appropriately, it's that tune which opens the program, a sprightly arrangement that features Gilkes as its only soloist. He returns once again on the lovely performance of "Edenberry", a ballad that was the title cut of his 2005 debut album. The "Introduction" is an arrangement for brass chorale then Gilkes steps up to lead the entire band through a handsome reading of the piece. Again, he is the only soloist but the arrangement shows off his talent for creating compelling voices for the reeds and brass sections. Gilkes returns to solo on the final track, a smart new arrangement of "Downtime", a track that was a highlight of his 2012 "Sound Stories" recording. It's fun to hear how the sections support and expand his melodic expedition. Gilkes does not play on the rest of the tracks but creates impressive pieces that spotlight different members of the Big Band. Pianist Frank Chastenier and the flugelhorn of John Marshall are featured on the prayer-like "Vespers" yet the section work also stands out. "4711 Special" has a strong melody but builds smartly from the playful rhythm work of the pianist, bassist John Goldsby and drummer Hans Dekker. Pleasing solos by trombonist Ludwig Nuss and alto saxophonist Johan Hörlen add spice to the piece named for the famous Original Eau de Cologne from the region. 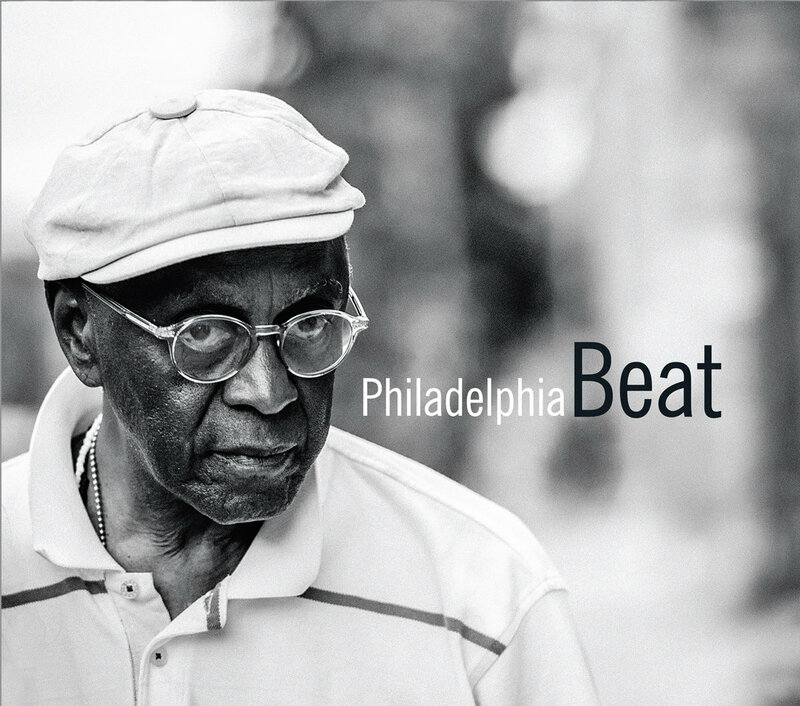 Goldsby is front-and-center on the bluesy (strong hints of Thad Jones in the melody) "Plant Bassed" that also features a stand-out trumpet solo by special guest and frequent collaborator Michael Rodriguez (who appeared on the trombonist's 2008 "Lost Words"). Rodriguez solos on flugelhorn on the lovely "Mary Louise", named for and dedicated to Gilkes' mother. The brilliant sounds of the brass propel the melody to its soft finish, a short, sweet, second flugelhorn solo. "End in Sight", which also appeared on "Lost Words", is actually a piece from the composer's days at Juilliard Here, it opens with the horn intro from the earlier recording but soon transform into an animated work where each section contributes to the brightness. When the rhythm section kicks into a higher gear, the piece becomes a spotlight for an exciting alto saxophone solo from Karolina Strassmeyer followed by a vivacious turn from tenor saxophonist Paul Heller. The old adage says there is usually "strength in numbers" and the wonderful section work on "Köln" bears witness to that. 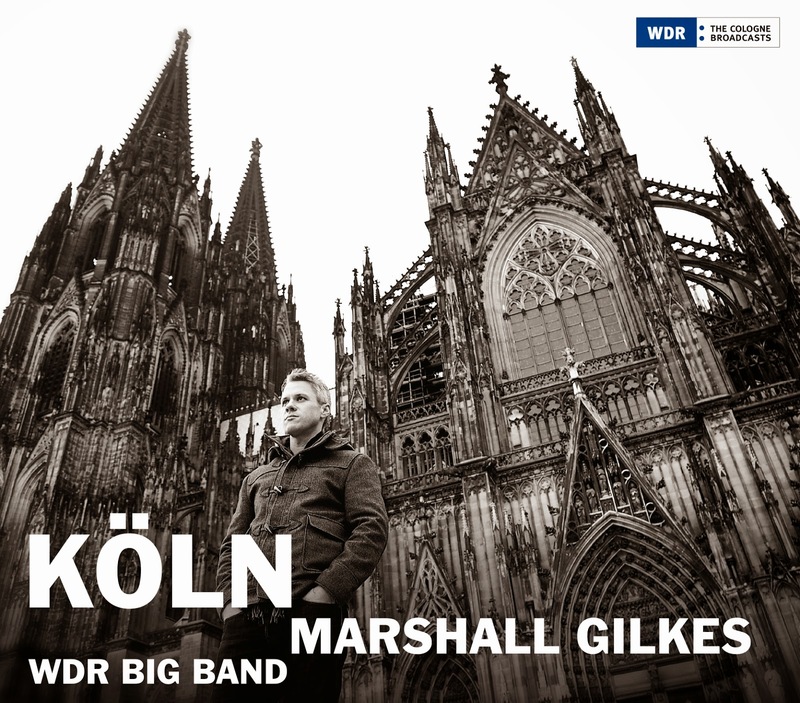 This recording not only celebrates the music and arranging of Marshall Gilkes but also his relationship with the WDR Big Band. 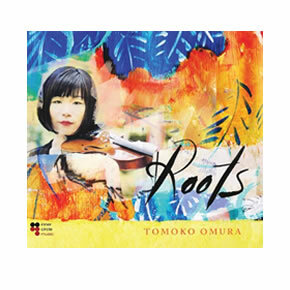 There is a great amount of joy in this music, strong emotions abound, and the ensemble plays with gusto as well as sensitivity. Those who love 21st Century Big Band music will enjoy this gem of a recording. For more information, go to marshallgilkes.com. Australian-born saxophonist (alto and baritone) Lisa Parrott moved to the United States since 1993 and she has pretty busy ever since. She's a copyist for several big bands, a member of DIVA Jazz Orchestra and the Artie Shaw Orchestra, and has appeared on numerous CDs including 7 with her sister Nicki (bass and vocals). "Round Tripper" (Serious Niceness Records) is really her debut as a leader - the title refers to the fact she often returns home to teach and to play. Joining her are the splendid rhythm section of Chris Lightcap (bass) and Matt Wilson (drums) plus she shares the "front line" with fellow countryman Carl Dewhurst (guitar) and co-producer Nadje Noordhuis (trumpet and flugelhorn on 2 tracks). Ms. Parrott's choice of material is inspired. The program opens with Carlos Ward's "Rosa Takes a Stand (for Rosa Parks)", a celebratory romp with Wilson in Ed Blackwell-mode. Then, listen to how melodic (a la Backwell) he is on Bernie McGann's "D. Day." (If you have heard the late Mr. McGann - he passed in 2013 - check out his 2001 Rufus recording "Bundeena"). In fact, Ms. Parrott's generous playing and warm tone on alto reminds this listener of that player. Her baritone work is facile, quite swinging and certainly inventive. She attacks Ornette Coleman's "Round Trip" with great vigor, the hardy "bari" tones rising over the rousing bass lines and fiery drums. Her deep sounds on "Do You Think That I Do Not Know" (based on a poem by the 20th Century Australian Poet Laureate Henry Lawson with music by the Parrott sisters) blend nicely with Ms. Noordhuis's husky flugelhorn tones. Wilson's brush work is, as one has to come to expect, is exemplary. Trumpet and alto mesh with guitar on the closing "Waltzing Matilda" (the saxophone harmony on the opening verse is quite lovely). The quintet extends the piece to 8:34 (by 3 minutes, the longest track on the disk) and take their time with the solos. Lightcap, Wilson and Dewhurst create a medium-tempo groove and the piece floats along with crackling solos until its gentle close. The sound quality on "Round Tripper" (kudos to Mike Marciano at Systems Two in Brooklyn, NY) is mighty impressive - everyone sounds so clear and it gives the music a sense of intimacy. Let's hope that this excellent album is the first of many Lisa Parrott makes as a leader. For more information, go to www.lisaparrott.com. "Naked" is the 3rd CD issued by Israeli-born guitarist Assaf Kehati and his first with his Trio comprised of Ehud Etun (bass) and Ronen Itzik (drums). In the 3 years since his previous recording, the guitarist has played his music with drummer Billy Hart, saxophonists Will Vinson, Donny McCaslin and Seamus Blake plus Anat Cohen. His new songs have stronger melodies, with personal narratives that engage the listener. The program opens with "Song for Saba" (composed when the guitarist heard the news of his grandfather's passing), a slow tribute with a country feel in the melody line. Bassist Etun's counterpoint work stands out as does Itzik's expressive brush work. There is a joyful playfulness in the twists-and-turns of "Nathan Bo Rega" while "The Horses' Fight" has a Brazilian feel in the exciting drums and bouncing bass lines. Kehati's ringing guitar tones (he likes to hold notes out) move like stallions across the fields and the rhythm section boldly push him forward. The title track opens on a melody line not unlike a Lennon-McCartney ballad and the song goes on to be a beautiful performance, emotionally rich with a few climaxes built in but really embracing a more melodic approach. The longest track (11:25), "Beneath the Almond Tree", starts quietly with just guitar - Itzik then creates Middle-Eastern rhythms that sweep the song along. Etun's bass solo has a flamenco feel, especially as he dances down the neck of his instrument. When he finishes, the drummer kicks into a swing tempo for a powerful guitar solo and then takes his own thunderous solo, returning to the Israeli-influenced melody to take the piece out. The Trio also tackle 2 standards and one Ornette Coleman classic. "Long Ago and Far Away" swings with a vengeance without abandoning the melody while "Someday My Prince Will Come" is a sweet ballad. The latter track moves right into a bass solo after the first verse. Listen to how the guitarist and drummer frame the solo. One can hear the many nights on the bandstand that the trio has played this song and how they breathe new life into this chestnut. Coleman's "When Will The Blues Leave" swings gently, its carefree demeanor giving the impression that the blues has most certainly "left". "Naked" refers to the honest approach than the Assaf Kehati Trio brings to this music. Not afraid to show emotions such as joy and sadness, the musicians create a program that draws the listener in from the opening guitar notes to the final fade. This is music that deserves to seen and heard. For more information, go to www.assafkehati.com. Drummer, composer, arranger, and publicist Ernesto Cervini leads one of the more exciting quartets on the music. His last 2 CDs, "Little Black Bird" (2010) and "There" (2011 - both available through Anzic Records) feature great work from pianist Adrean Farrugia, bassists Jon Maharaj (the former) and Dan Loomis (the latter) and saxophonist Joel Frahm. For his new Anzic release "Turboprop", Cervini has added the distinctive voices of Tara Davidson (alto and soprano saxophones) and William Carn (trombone) but has not traded in his sense of musical adventure for a larger sound. One thing that stands out on all of his recordings is the sense of fun the musicians are having. This program includes "Cheer Up Charlie", the Leslie Bricusse - Anthony Newley tune from "Charlie and The Chocolate Factory" as well as "Red Cross", Charlie Parker's high-stepping piece from 1944 (first recorded with guitarist Tiny Grimes.) The former is a sweet ballad that really works well with the 2-reeds/1 trombone front line; each player shares the melody and take a short solo (Ms. Davidson on alto). The Parker burns brightly from the get-go, Corvine laying put the beat while the alto and tenor saxes plus the trombone share the "give-and-take" intro and then the melody. The program includes 5 originals contributed by the leader. The impressionistic opening track "Unnecessary Mountain" (named for a real peak near Vancouver, British Columbia) introduces the band, with the melody shared by the saxes (soprano and tenor) and horn while the rhythm section builds the tension and intensity to a boiling point during Frahm's fiery solo. "Fear of Flying" slips in on a slinky rhythm and well developed melody (a touch of Monk and a dollop of Hancock). Frahm takes the first solo, taking a jaunty ride over the rhythm section. Farrugia solos next and, if you have never heard this young man play, he is a splendid soloist, forceful yet whimsical at times. Cervini takes the next solo; it's short but powerful with a touch of humor. "Three Angels" is a very personal piece. Opening on Frahm's solo tenor lines, it slowly progresses first adding the rhythm section then the Davidson's alto and Carn's trombone. The harmonies are striking, the solos powerful (including a strong turn from Loomis) and, although the piece lasts over 12 minutes, the music always moves forward. "Bindi Bop" swings agreeably with Cervini's active brush as the only rhythm instrument while Carn, Ms. Davidson and Frahm weave in and around each other. The drummer's other composition is the lovely ballad "Marion Theresa" (dedicated to his grandmother) - at times, it feels like a Gil Evans composition and arrangement, especially in the minor chords and voicings for the reeds and brass. The remaining tracks include Cervini's stunning arrangement of Claude Debussy's "The Engulfed Cathedral" during which the music feels suspended in time as the trombone slowly intones the melody over a simple bass line and tolling piano chords. Frahm's "De Molen" is a piece and it burns with great intensity - listen to Farrugia's frolicking chords beneath the forceful tenor solo and hear how he takes off on his solo. The CD closes on Keith Jarrett's "The Windup" (first recorded with his European Quartet in 1974) and is one of the pianist's most playful and funky pieces (Ornette Coleman meets Phineas Newborn Jr.). Frahm and Farrugia combine for a great interactive dialogue before the band takes the tune out on a rollicking high. "Turboprop" is great modern music, played with fire, integrity, passion and a sense of playfulness missing from 99% of recorded music. The ballads are emotionally strong, the interactions speak to 6 musicians digging deeply into the material and themselves to give their all. Ernesto Cervini continues to mature as a composer and arranger (plus he is a powerful and sensitive drummer). 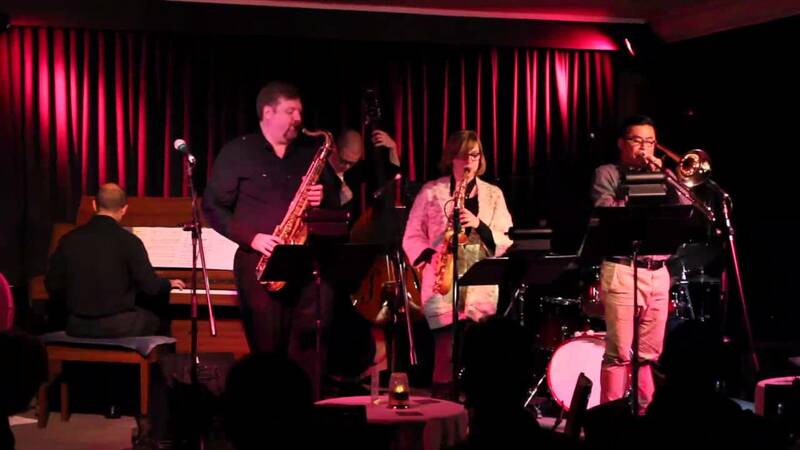 One hopes this sextet makes it down to the Lower 48 from its Canadian base. In the meantime, this super CD will give you wings. For more information, go to www.ernestocervini.com. Give a listen to "Red Cross" and enjoy! Ms. Thiroux is no stranger to the East Coast as she matriculated at The Berklee School of Music in Boston, MA. Since returning to the West Coast, she's worked and played with pianists Larry Fuller, Geri Allen, and Bill Cunliffe as well as trumpeter Terrell Stafford, saxophonist Jeff Clayton, guitarist Mundell Lowe plus drummers Lewis Nash and Jeff Hamilton (who produced the CD). She also played and studied with vocalist Tierney Sutton. She's a first-class musician. Bacharach-David's "Wives and Lovers", a hit for Jack Jones in the early 1960s, is just voice and bass yet the song swings with ease and grace. The bass is recorded with great presence throughout. Listen to how she leads the guitarist and drummer into "There's a Small Hotel" and pushes the tempo on her original "Ray's Kicks" (dedicated to the late Ray Brown, a big influence on her playing.) She's displays solid blues "chops" on that cut as well as on Frank Foster's "Shiny Stockings" (a track that features great contributions from Dechter and Neumann). Witek's classy brush work supports Ms. Thiroux's fine vocal on the opening chorus of "I'm Old Fashioned" then he takes a splendid "soft shoe" solo. Dechter follows with a fine solo, filled with sweet single-note runs and percussive chords. One can clearly hear the influence of Ella Fitzgerald on Ms. Thiroux's vocal approach on this track (and on several others). The bassist contributes 3 originals. Besides the afore-mentioned "Ray's Kicks", there's the up-tempo shuffle "Rosebird", a vehicle for Neumann's robust tenor playing and Dechter's rippling phrases. "Can't We Just Pretend" is a soft blues-soaked ballad with the tenor player sounding like Ben Webster in his prime. The CD closes with a bass tour-de-force, an unaccompanied reading of "Oh What a Beautiful Morning", that shows Ms.. Thiroux's inventiveness and playful side. She doesn't go overboard with technique yet she is certainly "strutting her stuff." "Introducing Katie Thiroux" does its job admirably. The music has a "conservative" side with the majority of the material composed long before the bassist was born. Yet, neither she nor her bandmates treat this music as museum pieces. The enjoyment they get from playing together is infectious and this music is quite alive. For more information, go to www.katiethiroux.com.